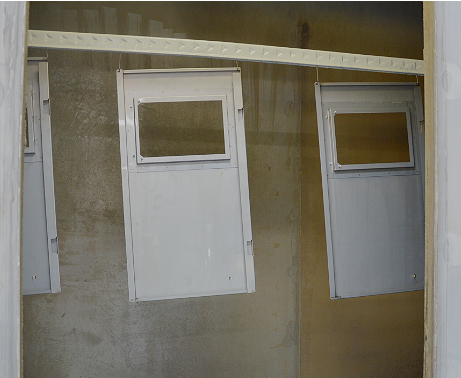 Good priming has a significant impact on the final quality of the product. The choice of primer and priming method depends on how the product will ultimately be used in practice, the basic material from which the product is made and the paint system. 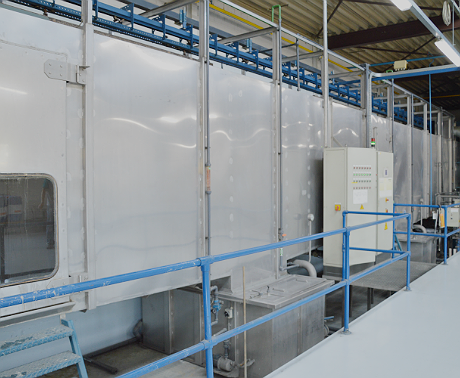 NTS Finish has a series of immersion baths used for, among other things, degreasing, pickling, zinc phosphating and passivation. 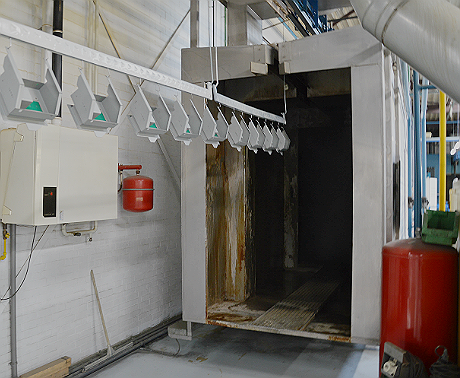 NTS Finish also has an iron-spray phosphating installation for degreasing and iron phosphating ferrous metals and for cleaning non-ferrous metals and plastic products. 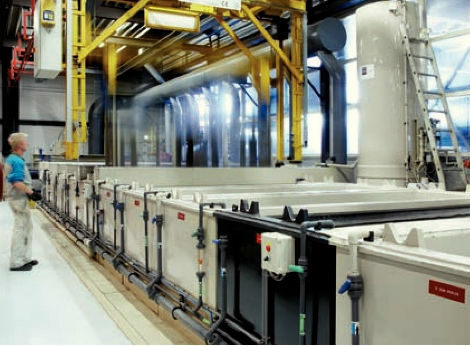 In addition, NTS Finish can assume full responsibility for and arrange to have specialist processes carried out externally, including anodising, chromating, electrophoresis coating, nickel-plating and galvanising. Degreasing, pickling and chrome(VI)-free passivation of aluminium on the basis of chrome(III). Load: 150 kg / 3-m traverse beam.